Dr. Cindy Heo is an Associate Professor at École Hôtelière de Lausanne in Switzerland. Prior to joining EHL, she taught Revenue Management and Service Management courses at the Hong Kong Polytechnic University and University of Angers in France. 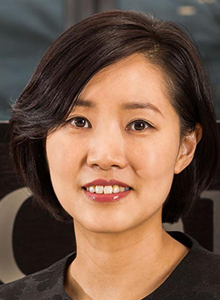 She has a doctorate degree in Business Administration from Temple University and master’s degree in Hospitality Management from University of Massachusetts in the U.S. Dr. Heo is a recipient of numerous research awards including EHL Researcher of the Year Award, Best Paper Award from APAC CHRIE conference and ICOT Young Scientist Award. Prior to joining academia, she had extensive industry experience in the hospitality and tourism fields. Dr. Heo has delivered custom executive education programs on Revenue Management and Digital Marketing courses for hoteliers in Asia, Middle East, and Europe. Her scholarly research and industry consulting focus on the core strategic elements of Revenue Management, Pricing and Sharing Economy. Her current research projects include Revenue Management for SME hotels and the impact of P2P Sharing Economy on the hospitality and tourism industry.